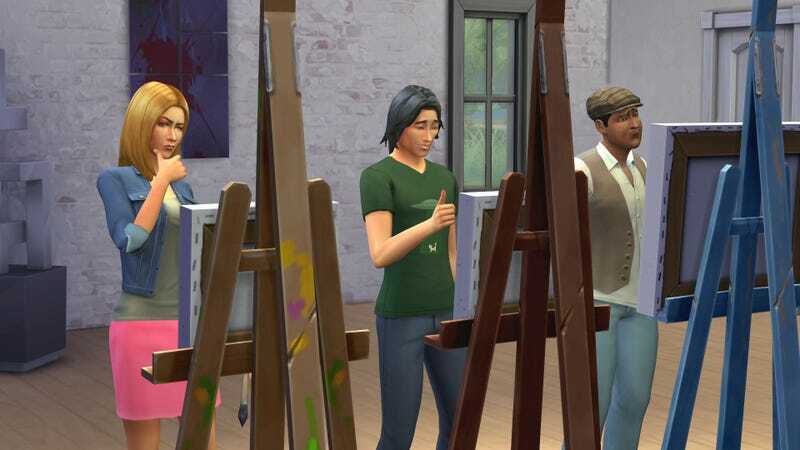 It might be a PC exclusive to start, but The Sims 4 has an appeal far beyond the master race. Electronic Arts isn't making its newest Sims game especially demanding hardware-wise as a result. We'll have to wait until the game launches next week to see how The Sims 4's performance shakes out, of course. But it makes sense that EA would want to keep the game more casual-friendly than, say, Battlefield 4 or Titanfall—two of its rockstar shooters that are often used as poster children for powerhouse gaming rigs. The Sims has long been a best-selling PC gaming franchise, thanks in large part to its ability to reach people who might not even know what Battlefield or Titanfall are. It's also been five years since The Sims 3 launched, so many loyal fans will be revisiting the franchise on fairly old machines. These are just EA's recommended hardware specs, mind you. The game could technically run on less powerful hardware. But gamers who want to get the most out of The Sims 4 will probably want to bring a bit more firepower to the table too. But even then, the game isn't a hog by any measure. In his article for Forbes, Evangelho recommended a Sims 4-specific gaming rig that would cost players a tad more than $400. That's about $1,200 less than what I just dropped to build myself a new PC gaming rig, for a point of comparison. And that's not including a monitor, mouse, keyboard, or any sort of audio system. So don't fret, Sims fans: come next Tuesday, you won't have to worry about having the most up-to-date tech. Instead you can devote all of your time and energy to what's truly important: feeling lots of feelings in The Sims 4 and obsessing over all the glorious, teeny tiny details of its character creation menu. That's assuming there won't be any SimCity or Battlefield 4-level disaster at launch time, though. But EA won't let that happen again...right? UPDATE 3:00pm: Due to some technical hiccups on my end I accidentally put in the recommended specs above the minimum requirements. I've now updated the post to include both. Apologies for misleading anyone with the original draft.